One little comment in an article she wrote, and her whole career is ruined. Being a physicist and working on her research was the most important thing to Akira with the exception of hiding the fact that she can see and talk with ghosts. When the article threatens her job, she decides to accept an interview with a company in Florida. When she is interviewed for the job, she is unclear what exactly the company does and what they would want her to do. Zane is surprised by Akira and drawn to her at the same time. General Directions, Inc. has many special projects involving psychic gifts and Zane is hoping that Akira will be able to join the ranks and help his family talk with those they’ve lost. 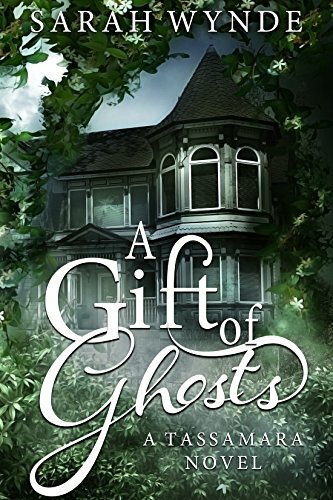 This was a delightful story, full of some of my favorite things; psychics, ghosts and a good romance. The setting of the story, a little town in Florida knows as Tassamara sounded so quaint and peaceful, painting a lovely background for the story. I look forward to checking out the next book in the series by Wynde.